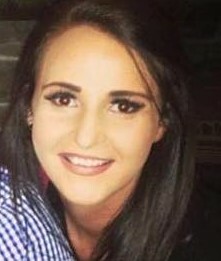 Sarah graduated from The Cork Institute of Technology in 2013 with a BA Honours Degree in Early Childhood Studies, before progressing to Mary Immaculate College to complete a Postgraduate Diploma in Adult and Further Education. Her experience in the field largely pertains to working with children with additional needs and delivering accredited programmes. She has previously taught on Fetac level five and six Early Childhood Programmes prior to moving to the UK to deliver a range of programmes including BTEC, CACHE, Foundation and Honours Degree Programmes in Early Childhood Education, with a focus on placement and dissertation supervision. Sarah returned to Ireland to take up her role as a content developer and tutor on the LINC Programme in Mary Immaculate College in 2016. Currently Sarah works as the LINC Programme Researcher and is responsible for overseeing and conducting research and evaluation of the LINC Programme.